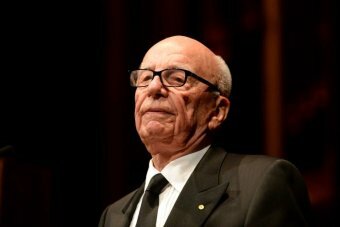 Even Rupert Murdoch can sense a broad feeling of unrest and deep dislocated disturbance for a generation left in Team Australia’s dust. Rupert Murdoch’s warning of the “inevitable social and political upheavals to come” might very well be spawned from the masses of underemployed youth who are left in Team Australia’s dust, writes Jonathan Green. His somewhat counterintuitive observations on growing income inequality may have taken the headlines, but what exactly might Rupert Murdoch have had in mind when he spoke of the “inevitable social and political upheavals to come”? A telling line there from his speech to G20 finance ministers, a reflection on the possible consequences of a generation of young people, from bereft and penniless pockets across the affluent West, left without jobs, prospects, hope or connection. Whatever mayhem is in store will no doubt be grist for the inflated daily misanthropies of his tabloid press, so there’s a positive, but Murdoch seems genuinely alert to a deepening social divide and the gathering dysfunction that straddles it. The lack of opportunity for the next generation was “especially troubling” along with the “inevitable social and political upheavals to come”. This was because the unemployment rate for people under 25 years in the US was 13 per cent and in the Eurozone was 23 per cent. It was twice as high in Spain and Greece and parts of France and Italy. The Brotherhood of St Laurence crunched the numbers in early September. It found that 15 per cent of Australian 15-24-year-olds were underemployed: they had some work, but not as much as they either wanted or needed. The rate was the highest it has been since 1978, when the Australian Bureau of Statistics began compiling numbers around youth underemployment. According to the Government, this is an issue of industry and motivation. While they might dream of “lifting” the young un and underemployed are presumably “leaning” for the moment. Social Services Minister Kevin Andrews may have ruled out drug testing them, but still wants them to work harder for their meagre unemployment benefit, a rate of benefit they won’t be able to access in full until the age of 25; never mind the six month wait for benefits and job search diaries that will fill libraries. 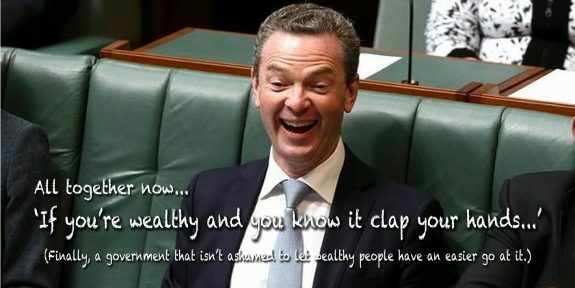 “There isn’t a crisis,” says Education Minister Christopher Pyne. There is no right to demand from your fellow Australians that just because you don’t want to do a bread delivery or a taxi run or a stint as a farmhand that you should therefore be able to rely on your fellow Australian to subsidise you. Meanwhile, there are 580,000 young Australians with no good reason to get up in the morning. They’re across the country, in regional centres stripped of life and purpose, in outer suburban sweeps detached from the jobs, infrastructure and resource lifeblood of the cities of which they are only nominally a part. Is it here, in the great boondocks of welfare dependent apathy and creeping disdain that Mr Murdoch’s “inevitable social and political upheavals” will arise? Will it be among a growing and increasingly hopeless underclass, a quarter of our young population who lack even the humdrum social connection of work, never mind an instinctive affinity with Team Australia. The outcome? Some will turn to drugs. Some to crime. Some to simple indolence. Some will struggle desperately against a conspiracy of circumstances. Some will succeed. Some will be radicalised, their heads filled with talk of jihad and visions of violent glory. National security legislation whistles through the parliament, unspecified foreign destinations are proscribed, the capacity of the media to reflect on the operations of our secret police is constrained … all of it deemed essential to subdue the threat of terror, particularly the challenge of the “lone wolf”. Meanwhile, hundreds of millions of dollars are pulled from GP-based mental health programs. Program funding in youth psychosis services is cut or uncertain, the entire provision of mental health is a place of policy limbo pending review. And what do we know about the most recent lone wolf, the man who ran amok in the Canadian parliament? That his actions were as likely the result of drug and mental health issues as radical Islam. We’ve been asked to take the parallel to heart. Stopping radicalised young Australians from boarding whatever flight it may be that runs direct to Damascus is one thing, nipping the deep social roots of radicalisation and disturbance is another. It may be that these men act out their violence not because, as is so often argued, they hate the things we are … it could be because those things “we are” are applied with such inequality, or in some places not at all. The result will be illness, anger, despair and perhaps jihad … but it might also be a broader sense of unrest and deep dislocated disturbance for a generation left in Team Australia’s dust. Even Rupert Murdoch can see that.